The "Cross Body Traveler" is a compact purse that has pockets for your cellphone, passport, boarding pass, wallet and other essentials. 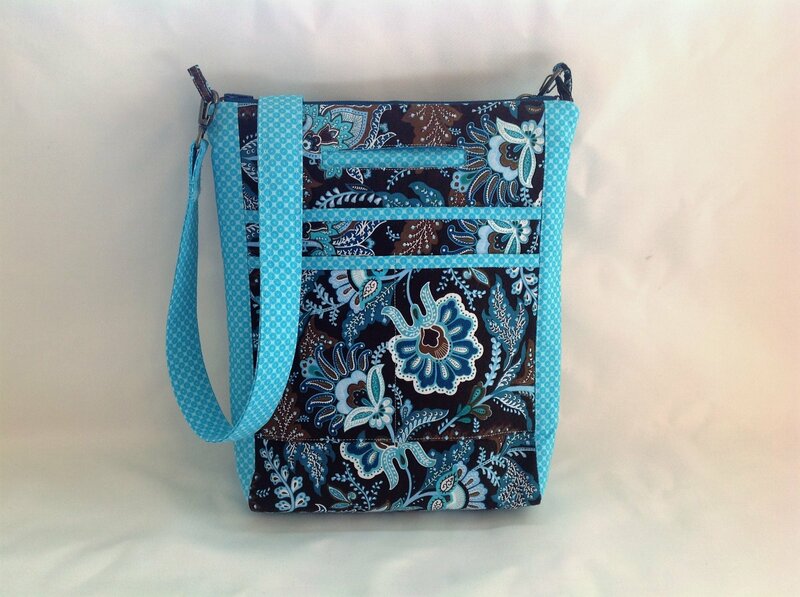 The swivel clips that attach the strap to the bag are included in the pattern. All you need are two coordinating fabrics and some interfacing and you will have a great looking travel bag.